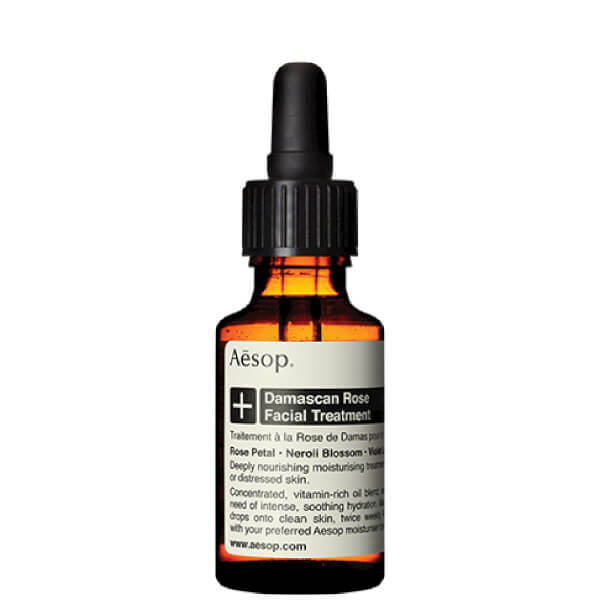 The Aesop Damascan Rose Facial Treatment is a concentrated treatment designed to help dry or very dry skin. It can also be beneficial for stressed skin. This is a moisturising treatment enriched with vitamins that will nourish your skin and help to protect it against the elements. Those who have tried it report an instant change in the appearance of their skin, and using it with other products in the Aesop range can also help. With no artificial preservatives, this facial treatment from Aesop contains botanicals such as neroli blossom, violet leaf and Damascan rose. A small amount of this treatment will go a long way. Very good product makes the face naturally moisture. Easy to use. It is very condensed and I could use only 1-2 drops for whole face. Good product for people with very dry and sensitive skin. Two months my acne marks and coarse pore were improved. I love AESOP from 2012 when my friend bring it from Australia. This treatment provide a very nice smell of rose, and I like rose so much. In addition, its very moisturizing and make me feel good in winter. What's more, the delivery is so fast with good packaging. It only takes 7 days from Spanish to China. I love the smell of this rose oil! 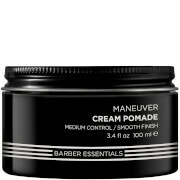 Works really well with B triple C gel. Quick absorption on the face, skin feels hydrated and smooth. I also recommend the orange flower facial oil from Neal's Yard Remedies if you are into organic skin care, it's cheaper but equally brilliant. I use these two oils interchangeable at night and found the spot scars on my face has been faded. Love, love, love the Aesop Damascan Rose Facial Treatment Oil! It has to be the best oil on the market for all skin types, especially drier or older......and I've tried them all! I've even bought it as birthday presents for my friends as I think it's amazing! it works well on my sensitive , dry skin. will buy again. 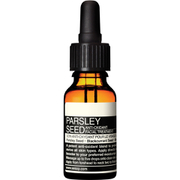 Use it with aesop parsley seed anti oxidant serum works good for me.I put one or two dreeps into the serum which absorbs quickler than be used singly.It let my pore decrescent on the face. This is my first time with AESOP DAMASCAN ROSE FACIAL TREATMENT，the feeling is very good well,it is absorbed quickly and the skin feeling very soft and moist after using.I'm looking forward to be able to repair dry and rough skin. Very moisturising. A little massage will help it go deeply into skin. It's first time to use Aesop and it's just exactly what i want. After applying to your face at night time, skin turn very soft on next morning. Love it!! !